Are (Banking) Crises Becoming More Frequent? Number 11. Or 25. Or Something. Is the German Political Economy Shifting? Can Hamas Sabotage the Peace? Larger version here. 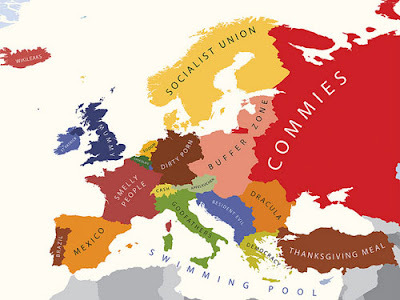 Via Kottke, who points to the home site which is full of maps of stereotypes. Posted by Kindred Winecoff at 3:45 AM . Mark Blyth gets animated in the literal sense, which as far as I know is a first in the history of IPE. Beyond the novelty, I recommend watching this short video on austerity. I agree with about half off it: the part where he emphasizes the distributional implications of austerity. Unfortunately, he merely toys with idea before regressing into demagoguery. Surely he doesn't believe that living standards have not improved for the bottom 40% of Americans in the past 40 years. And he completely misses the international dimension of austerity politics. The domestic dimension too, really. I part ways when he passes off value judgments as objective observations. That's not to say that his value judgments aren't reasonable or maybe even valid; just that his conclusions don't follow from his premises. He seems to argue that austerity, if and where and when it happens, should be borne entirely by bankers. That's an understandable position. But it ignores the obvious complication: if bankers are made to suffer, then so are those who seek credit from them. This is especially true of the less-credit-worthy among us. If we want to punish the banks by limiting their risk-taking, then that means we are restricting the ability of the lower classes to access credit. We can have a world in which financial entities are heavily restricted in their activities, but the distributional effects of such a policy are not likely to be favored by the class warriors. I will say that Blyth is correct in saying that austerity everywhere all the time is not the right reflex. Some states truly do need to consolidate. Others have more room. But by taking a reflexive position, Blyth is missing the really interesting (and important) dynamics. It's a short video that's apparently based on an upcoming book, so maybe he'll deal with these issues in a more nuanced way in print. I hope so. Hey everybody! World War I is finally (officially) over! Not a minute too soon, I say. ht Tom Hylands, via Chris Dittmeier. Posted by Kindred Winecoff at 12:58 PM . Basel III, we learned this weekend, is on course to raise capital requirements – but to a level below what US banks have held on average in recent decades (for Tier 1 capital, Basel III posits 8.5 percent at the end of the day; US banks fluctuate roughly around 10 percent). What does that tell you about the nature Basel, private sector incentives, and the importance of cross-national divergences? There's more than meets the eye here, esp if you're focusing on Basel as a technocratic agreement as Johnson is. I'll probably keep beating this drum, since I'm the only one doing it and I think it's important. If you're getting sick of it... sorry. Posted by Kindred Winecoff at 2:41 AM . I've been trying to stay away from links posts, just because. But I've got full tabs and not enough time to blog about most of this stuff, so here you are. -- A Cato symposium on James Scott (famous for Seeing Like a State) that includes, erm, James Scott. Respondents include Brad DeLong, Don Boudreaux, and Timothy Lee. -- Paul Krugman and Robin Wells on the slump and the way out. Also Howard Kurtz on Krugman. -- An argument that China will not revalue the yuan under almost any circumstances. I'm not entirely convinced, but some useful stuff in there. -- The "most underappreciated general in U.S. history" was an ancestor of mine, and won a decisive battle during the Revolutionary War about 15 miles from where I now sit, in Hillsborough, NC. -- A classic from DeLong on understanding Marx. Posted by Kindred Winecoff at 1:21 AM . Currently, the EU devotes 77 percent of its budget to agricultural subsidies and structural spending on physical infrastructure and the like. From Henry Farrell's excellent article on the present state of the EU political economy. I really can't recommend it enough. Conventional wisdom holds that banking crises have become ever more frequent during the last thirty years. Here's some evidence. * I think conventional wisdom was perhaps correct from the vantage point of 2000. Not so obvious that this same conclusion emerges from the vantage point of early 2008. In fact, and as I noted to Will this evening, what is perhaps most stunning is how rare banking crises were during the naughts, at least prior to 2008. I would also note that of the 90 banking crises that occurred from 1987 to 1998, exactly five involved an advanced industrialized economy (US in 1988, Finland, Norway and Sweden in 1991, Japan in 1998). Thus, 85 of these crises occurred in developing societies many of which were deeply entrenched in economic reform. *This time series derived from Luc Laeven and Fabian Valencia, 2010. "Resolution of Banking Crises: the Good, the Bad, and the Ugly," IMF Working Paper, (June). Posted by Kindred Winecoff at 9:40 PM . 1. Department level data collected by the NRC on 20 different indicators (e.g., publications, citations, proportion of students who graduate within six years, etc.). 2. Survey data that asked respondents to evaluate how important each of the 20 indicators are to graduate program quality. In the R rankings, the ratings in (3) are regressed on the indicators in (1) to generate a regression based set of weights. These weights were then applied to the indicators in (1) on the full set of schools to generate rankings. Since there is uncertainty in these rankings, the regressions were estimated 500 times on random half samples of respondents, which generates the percentile rankings. In the regression rankings UNC beats Chicago, UCSD, Ohio St. Cornell, MIT, George Washington, and Wash. U. (St. Louis). Not too shabby. Probably also not completely reliable, but there you go. Are Muslims especially prone to large-scale political violence? From Montesquieu to Samuel Huntington, prominent modern analysts of politics have regarded Muslims as unusually inclined to strife. Many other observers have portrayed Islam as a peace-loving faith and Muslims as largely pacific. Yet scholars still lack much hard evidence on whether a relationship between Islam and political violence really exists. Precious few studies adduce empirical evidence on whether Islamic societies are actually more or less violent. This article assesses whether Muslims are more prone to large-scale political violence than non-Muslims. The authors focus neither on terrorism nor on interstate war. Instead, they investigate large-scale intrastate violence. The article makes three contributions. First, it offers useful data on Islam and political strife. Second,it investigates whether Muslims are especially violence prone. Relying on cross-national analysis, the authors find no evidence of a correlation between the proportion of a country’s population that is made up of Muslims and deaths in episodes of large-scale political violence in the postwar period. Third, the authors investigate whether Islamism (the ideology), as opposed to Muslims (the people), is responsible for an inordinate share of the world’s large-scale political violence. They find that Islamism is implicated in an appreciable but not disproportionate amount of political violence. There does not appear to be an ungated version anywhere. The National Elections across Democracy and Autocracy (NELDA) dataset provides detailed information on all election events from 1960-2006. To be included, elections must be for a national executive figure, such as a president, or for a national legislative body, such as a parliament, legislature, constituent assembly, or other directly elected representative bodies. In order for an election to be included, voters must directly elect the person or persons appearing on the ballot to the national post in question. Voting must also be direct, or "by the people" in the sense that mass voting takes place. That voting is "by the people" does not imply anything about the extent of the franchise: some regimes may construe this to mean a small portion of the population. However, when voting takes place by committee, institution or a coterie, the "election" is not included. By-elections are not counted as elections for the purpose of this project, unless they take the form of midterm elections occurring within a pre-established schedule. In federal systems, only elections to national-level bodies are included. Cases in which any portion of the seats in a national legislative body are filled through voting are included. That's from the overview. The actual data (in STATA and Excel formats) requires filling out a form here. There appears to be a glitch in the form right now, whereby "Other" is the only category of user that actually allows you to download the data. UPDATE: Forgot to ht Monkey Cage. Posted by Kindred Winecoff at 8:01 PM . Here's the plan: More immigration. A pathway to legal status for undocumented immigrants. And a recognition that immigration policy is economic policy and needs to be thought of as such. The mistake we make when thinking about the effect immigrants have on our wages, says Giovanni Peri, an economist at the University of California at Davis who has studied the issue extensively, is that we imagine an economy where the number of jobs is fixed. Then, if one immigrant comes in, he takes one of those jobs or forces a worker to accept a lower wage. But that's not how our economy works. With more labor - particularly more labor of different kinds - the economy grows larger. It produces more stuff. There are more workers buying things, creating demand. That increases the total number of jobs. We understand perfectly well that Europe is in trouble because its low birth rates mean fewer workers - and that means less economic growth. We ourselves worry that we're not graduating enough scientists and engineers. But the economy doesn't care if it gets workers through birth rates or green cards. A study by Harvard economists George Borjas and Lawrence Katzj found that although immigrants raised native wages overall, they slightly hurt the 8 percent of workers without a high school education. A subsequent study by Peri found that even unskilled workers saw a benefit from immigrants - but it was much smaller than that of highly skilled workers. So why don't we pursue a more liberal immigration policy? 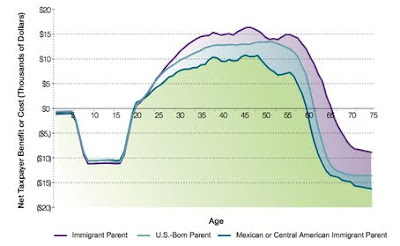 It could be because people don't understand the graph above (from the Hamilton Project via Klein); they focus on the valleys ("anchor babies") and not the peaks. It could be because people fear cultural or societal change that comes from changing demographics -- the Huntington hypothesis. It could be because they are part of the 8% of low-skilled, uneducated workers who could be hurt by facing new competition in labor markets. I suspect all three play a role, but the second is the strongest. Which is a shame, because it prevents a rational policy. I believe that labor mobility is the greatest civil rights issue of our time. Even if immigration didn't make almost everyone better off, it is still difficult to rationalize international segregation on ethical grounds. Thankfully, we're not faced with that conundrum. Liberalize immigration policy and our world becomes more just, more wealthy, and more balanced. What's not to like? Posted by Kindred Winecoff at 10:26 AM . Over the past decades, the steel industry has been protected by a wide variety of trade policies, both tariff- and quota-based. We exploit this extensive heterogeneity in trade protection to examine the well-established theoretical literature predicting nonequivalent effects of tariffs and quotas on domestic firms’ market power. Robust to a variety of empirical specifications with U.S. Census data on the population of U.S. steel plants from 1967-2002, we find evidence for significant market power effects for binding quota-based protection, but not for tariff-based protection. There is only weak evidence that antidumping protection increases market power. An interesting follow-up would be to see if this dynamic affects political organization, or if industry groups learn over time to petition for quota-based rather than tariff-based protection. Posted by Kindred Winecoff at 2:15 AM . I really liked this from Brad DeLong. I've been mulling it over for a few days and I'm not sure I agree with either the premise or the conclusion, but it's an interesting thought. I hope he develops it further. Perhaps I'll have a more substantive reply soon, but time is scarce lately. Either way, you should read it. The government should use its trade surplus, the European Union’s biggest, to “foster domestic demand and ease reliance on exports that are contributing a huge trade imbalance on the euro-zone’s periphery,” said Juergen Kroeger, a director in the EU Commission’s Economic and Financial Affairs department. Via Alex Harrowell at AFoE. I'm giving a talk on the politics of banking regulations at the Center for Human Science in Chapel Hill tomorrow (Sunday) at 7 pm. It's a public event, so feel free to come by if you're around. Posted by Kindred Winecoff at 12:11 AM . But my real question is this: if our primary goal is to discourage Iran from developing nuclear weapons, then might this new initiative be counter-productive? Doesn't it just give Iran an even bigger incentive to get a nuclear deterrent of its own? Think about it: if you had a bad relationship with the world's most powerful country, if you knew (or just suspected) that it was still backing anti-government forces in your country, if its president kept telling people that "all options were still on the table," and if that same powerful country were now about to sell billions of dollars of weapons to your neighbors, wouldn't you think seriously about obtaining some way to enhance your own security? And that's hard to do with purely conventional means, because your economy is a lot smaller and is already constrained by economic sanctions. Hmmm....so what are your other options. This is pretty standard IR security analysis, and probably true as far as it goes. (For those interested, there's a very deep body of research on the security dilemma.) But it got me thinking about applications for IPE. A lot of folks are wringing their hands over Sino-American economic brinksmanship along of number of dimensions including trade protections, exchange rate policy, macroeconomic imbalances, sovereign wealth funds, etc. In the news this week is the Sino-Japanese brinksmanship that is partially about economics, and partially about security. See here for one summary of the situation, here for a discussion of how China's perceived belligerence is helping the U.S. make stronger ties with other Asian states, and here for Drezner marveling over how inept the Chinese appear to be. Does any of this conform to the logic of the security dilemma? I think it might. Krugman, for example, has encouraged the U.S. to retaliate against China's exchange rate management by threatening to raise tariffs. He's also suggested that the U.S. threaten similar actions if Germany does not pursue looser monetary policy. He suggests that this is necessary for the U.S. to protect itself against negative externalities being generated by those countries. In other words, Krugman is suggesting using tariffs in self-defense. We wrote a series of posts here discussing why Krugman's "get tough with Chermany" attitude was unlikely to benefit the U.S. in any way. We didn't touch on the logic of the security dilemma, so I'll illustrate it briefly here. Suppose we do make those threats, and suppose those threats are perceived as credible*. Even further, suppose we get multilateral support from Japan, the U.K., and other leading states in an attempt to pressure China from all sides. Krugman believes that this would lead to major concessions from China. If those threats were issued, had multilateral backing, and were somehow made credible, that might be enough to extract concessions from China. But it might not be. If China feels threatened, it might escalate the situation by further manipulating the RMB, adding new protections for domestic firms, or pursuing preferential trade arrangements with other states. In other words, China may try to preemptively shield themselves from the U.S.'s threat. After all, China might think, the U.S. faces stronger domestic political constraints that we do, so they'll be forced to back down first. Now it's the U.S.'s turn. Rather than drawing down as we had hoped, China has re-upped. Do we respond in kind? Politicians are not very good at letting sunk costs go, so perhaps we'd respond to China's new policies by doubling down on our own. Rinse, lather repeat. There's a reason these things are called trade "wars", and the reason why we've spent so much time constructing and strengthening multilateral institutions like the WTO is to prevent this type of spiraling from occurring. The logic of the security dilemma also applies to the China-Japan squabble, as China has responded to Japan's detention of a Chinese national by restricting exports of rare earth materials to Japan. This is already having the effect of moving other Asian nations closer to the U.S. as a means of defense, and may prompt Japan to retaliate in other ways. This is all pretty basic, but I don't often see the security dilemma applied to IPE subjects. Are there other extensions of the logic that I'm missing? *Two exceedingly unlikely ifs, I know, but just go with it. Which leads me to the conclusion that a lot of what we’re seeing is a lack of genuine independence at the Fed, which became indistinguishable from Treasury during the crisis, and which has yet to break free from Treasury’s grasp. I suggested that there was one truth, one half-truth, and one non-truth there. The truth is that there is a lack of genuine independence at the Fed, as I discussed here. The half-truth is that the Fed became indistinguishable from the Treasury during the crisis. It's half-true because the two were often operating in tandem during the crisis, but their core missions and behaviors since the crisis have diverged. Treasury has moved to recoup its "investments" in the financial industry -- and has done a fairly good job at that -- while the Fed has maintained the status quo and perhaps even loosened policy. In other words, Treasury and the Fed have separated because of the different tools at their disposable. Monetary policy moves last, as they say, but it also moves longest. Fiscal policy is good for immediate injections of cash, but almost by definition there is only one or two bullets in that gun. A more sustained monetary effort is needed to help banks repair their balance sheets, increase lending, and reestablish credit lines to get the economy moving again. This process is somewhat long with somewhat variable lags, but it's Fed policy. The non-truth is that the Fed has yet to break free from the Treasury's grasp. Which institution is more constrained right now, the Fed or Treasury? The Fed gained regulatory authority following the financial crisis, the Fed can increase QE (or not) and Treasury can do little about it, the Fed can set policy reactive to the Treasury. If anything, then, it would be more accurate to say that Treasury is constrained by the Fed than the converse. Posted by Kindred Winecoff at 1:59 PM . The Federal Reserve broke a taboo yesterday when it said quite baldly that inflation in the US is now below the level “consistent with its mandate”. In other words, it is too low. Kathleen Madigan points out that the language led to an immediate decline in the dollar, which should boost exports and, through rising import prices, inflation. More here. Was this purposeful or accidental? I recently heard that the sanctions against Iraq have not yet been lifted, and won't be until the Iraqi government pays the U.S. government some amount of money, which I believe is related to post-war reconstruction. Perhaps some restitution to Kuwait too. This sounded crazy when I heard it, but it came from a somewhat-reputable source (that I now cannot recall). Wikipedia seems to disagree, although the entry focuses on U.N. sanctions, so I suppose it's possible that U.N. sanctions were lifted while U.S. sanctions persist. There currently are no broad-based sanctions in place against Iraq, but there are certain prohibitions and asset freezes against specific individuals and entities associated with the former Saddam Hussein regime, as well as parties determined to have committed, or to pose a significant risk of committing, an act of violence that has the purpose or effect of threatening the peace or stability of Iraq or the Government of Iraq or undermining efforts to promote economic reconstruction and political reform in Iraq or to provide humanitarian assistance to the Iraqi people. Those exceptions are probably wide enough to drive a Humvee through, and could probably be applied to just about any person or group in the country. More confusingly, this article from February indicates that U.N. trade sanctions still apply. A quick Google news search doesn't turn up much since. Does anybody out there have a clear sense of what's going on with this? Posted by Kindred Winecoff at 3:06 AM . The other sentence is: "Frankly, Muslim life is cheap, especially for Muslims." This is a statement of fact, not value. In his column, Kristof made this seem like a statement of bigotry. But on his blog, he notes that he concurs with it. "Peretz makes some points that are valid, and I agree with him that Muslims haven’t said nearly enough about those Muslims who kill other Muslims—in Kurdish areas, in Iraq, in Western Sahara, in Sudan, and so on." This is all about firepower. The fact is that Peretz has the social and economic guns to be a bigot, to then be defended by even those who acknowledge his bigotry, and finally be honored at the highest levels of American academia. The idea for Glass’s breakthrough piece, “Taxis and the Meaning of Work” (published in August of 1996), came from New Republic owner Martin Peretz himself. Peretz had spoken frequently about how black taxi drivers in Washington were being replaced by cabbies from other immigrant groups; he thought it revealed something important about the attitudes of blacks toward certain kinds of work. All of this is uncomfortable enough to consider. But an even more distressing thought, for me, is that Peretz is almost surely right. Not right about limiting the civil liberties of Muslims, but right that their lives are treated cheaply, including by other Muslims. Even more worringly, what if Peretz's argument is taken further than even he took it: What if the lives of Muslims are not valued highly by us? [T]his isn't about U.S. troops, or even about this particular group of U.S. troops. It's too easy to blame this on the type of people likely to be soldiers, or say that this is a group of bad apples. In the right situation, this could be me. This could be you. War may bring out courage and heroism in the human heart, and many of us like celebrating that. And there's nothing wrong with celebrating valor. But war also brings out brutality and nihilism. And that is why we cannot go to war lightly, why if war is to be an option, it must be the last option, a desperate refuge that we flee to with a heavy heart. We generally don't think like that, especially in the run-up to wars. It doesn't enter our cost-benefit calculus. More broadly, I would say that specific tactics the U.S. military uses -- unmanned drones, targeted assassinations, extraordinary rendition, etc. -- certainly indicate that the U.S. government values Muslim life (at least in Iraq and Afghanistan) much less than it values American life. Even more broadly, I would say that the U.S. government quite often values the lives of "others" much less than the lives of "us". Policy reflects that. Agriculture subsidies harm the poorest of the world's poor to benefit a small number of first-world producers, the U.S. "war on drugs" leads to thousands of deaths every year in Mexico and elsewhere, our immigration policies restrict the standards of living of the relatively poor, etc. I don't blame the government for taking these positions, because they are politically popular. I do, however, blame American citizens for their nativist biases. They lead to immense suffering and death, for nearly no purpose. So while it is worthwhile to ridicule to Peretz's wrongheaded statements and attitudes, it is also worth remembering that the problem does not begin or end with him. A new data set that might be of interest to some readers: the World Treaty Index. It's in its beta version, and currently includes all international treaties between 1945 and 1997. By year's end they promise to add the rest of the 20th century. It's searchable by country, dyad, and year. Looks interesting. HT to @drewconway on Twitter. Posted by Kindred Winecoff at 12:06 PM . So the maker of No End In Sight, a pretty good documentary about how short-sighted and inept the Bush administration was (among other things), has turned his attention the financial crisis with Inside Job. Apparently Mankiw and some of his buddies are nervous: they get raked across the coals for taking huge sums to "consult" for the financial industry, which basically meant lending their cred in exchange for cash. Feldstein, Mishkin, and others are targets and fair enough I suppose, although this is hardly Andrei Shleifer territory. Here is the argument of the film, in four sentences. From Roosevelt until Reagan, the American economy enjoyed 40 years of stability, prosperity and growth. Beginning with Reagan's moves against financial regulation, that sound base has been progressively eroded. The crucial federal error (in administrations of both parties) was to allow financial institutions to trade on their own behalf. Today many large trading banks are betting against their own customers. Pretty standard fare, and also largely untrue. The 1970s was not a decade of stability, prosperity, or (much) growth. Nor, for that matter, were the 1930-40s. 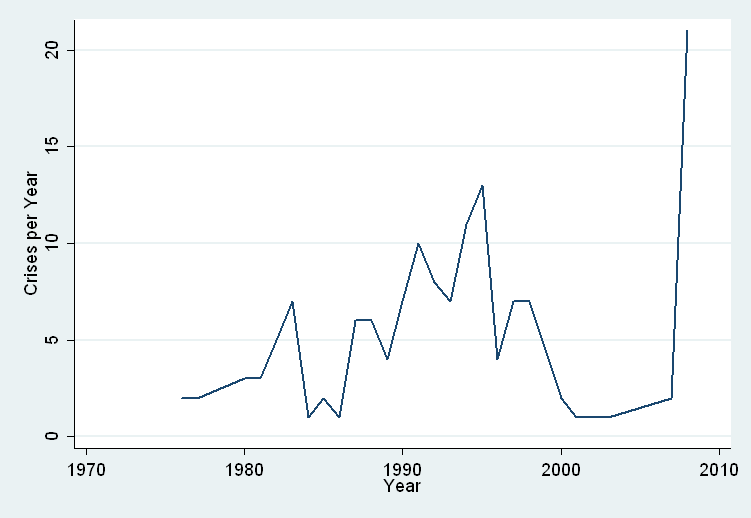 Conversely, it's pretty hard to argue that the 1980-90s were marked by instability, poverty, and declining growth. Reagan actually strengthened the financial regulatory structure after the Latin American debt crisis (Basel I), as did Dubya after the Enron collapse (Sarbanes-Oxley). The only major deregulation of the past three decades occurred during Clinton's second term (repeal of Glass-Steagall), and mostly what it did was allow American banks to trade on their own behalf... just as European banks had always been allowed to do. Anyway, claims that the repeal of Glass-Steagall caused this crisis are dubious, generally contain no functioning causal mechanism linking repeal to crisis, and require a higher standard of proof than I expect this film to be able to provide. But I'll withhold judgment until I've had a chance to watch it, and perhaps I'll write a longer review then. It's sure to be better than Michael Moore's execrable Capitalism. UPDATE: Drezner discusses some similar worries about Wall Street 2: Attack of the Gecko-Clones. [A]fter living in Turkey, I’m just grateful to be around people who don’t seem driven enough to plot conspiracies or foment coups. I’m aware that the country has seen both, but it doesn’t seem plausible. Probably not as bad as Iran's photoshop debacle a few years back, but surely more obvious. I mean, that's Obama's house. Nobody's leading Obama around his own house. Except maybe Mrs. Obama. "This is what the corrupt regime's media has been reduced to," a statement on the group's website said. The state-owned press had "crossed the line from being balanced and honest," the statement continued. Posted by Kindred Winecoff at 8:23 PM . President Nicolas Sarkozy of France vowed to keep dismantling illegal immigrant camps and rejected complaints that the French authorities were racist and deliberately targeted the Roma for deportation. Right. And West Bank settlers aren't deliberately targeting Palestinians, and Arizona lawmakers aren't deliberating targeting Mexicans, and Italy isn't deliberately targeting gypsies, and France's Burkha ban isn't targeting Muslims, and etc. Those who know me know of my obsession with three topics: pirates, illicit economic activity and Star Trek. Let's just say I was a bit giddy earlier this afternoon when I read this post over at the Faculty Lounge discussing a new article in the journal Economic Inquiry by Paul Krugman titled "The Theory of Interstellar Trade." In P-Krug's piece he mainly engages how interest on transactions should be calculated when transit time calculations differ between those on the planets that are trading the goods (buyer and seller) and those on the warp-capable starships moving the goods being traded. So you'd realize how this directly caught my eye. The United Federation of Planets is no doubt engaged in economic activity with other worlds so Federation-based exports would be affected by these interest calculations (i.e. Earth trading with Kronos pre-26th century). But it also has ramifications for inter-Federation trade (i.e. when a person on Earth trades goods with those on Vulcan or Andoria). Money is obsolete by the late 22nd century in most of the Federation but no doubt that interest is still used and applied on transactions so some sort of conversion system would be needed by those trading goods across the universe. How should interest charges on goods in transit be computed when the goods travel at close to the speed of light? This is a problem because the time taken in transit will appear less to an observer traveling with the goods than to a stationary observer. A solution is derived from economic theory, and two useless but true theorems are proved. When trade takes place between two planets in a common inertial timeframe, the interest cost on goods in transit should be calculated using time measured by clocks in the common time frame and not by clocks in the frames of trading spacecraft. For his reasoning and how he arrives at this first theorem, and how competition can equalize interest rates on two planets involved in trade (his second theorem), hop over to EI and check out the article. I completely agree with Fidel Castro about this. It looks like my post early this morning about arms sales and economic-political decision making had some pretty fantastic timing. Al-Jazeera and The Guardian are reporting that President Obama is on the verge of authorizing a record $60 billion arms deal with Saudi Arabia in which the US will sell the Saudis "as many as 84 new F-15 fighters, upgrade 70 more, and [...] three types of helicopters - 70 Apaches, 72 Black Hawks and 36 Little Birds" as well as other sophisticated weapons systems. There are some pretty interesting political questions and angles to this story. The first question: Why? The official explanation being bounced around by both administration officials and analysts is about countering growing Iranian influence in the region. This deal will modernize Saudi defense capabilities and advance short-range offensive capabilities. The administration is trying to use Saudi Arabia to balance Iranian power in the region (not necessarily a new idea). This deal will also deepen and further solidify US-Saudi Arabian cooperation in the Middle East for years to come, as the delivery of the entire package is expected to take roughly a quarter-century. But why only F-15 aircraft? F-15's are one of the most successful fighter aircraft around (so they're dependable), but they aren't the most advanced nor newest toy on the market. They've been around since the early 1970's. Saudi Arabia has enough resources to splurge on top-caliber fighter aircraft and weapons systems, so money isn't particularly a constraint. Why not the F-22 or the F-35? It looks like Israeli influence played a strong role in preventing the transfer of newer long-distance aircraft with stealth technology to the Saudis as this would decrease Israeli primacy as far as weapons technology in the region. The Israelis also objected to including long-range capabilities on the F-15's that will be delivered as they sought to limit long-range strike capabilities by the Saudis, thus reducing the risk of a future Saudi air strike. Also, the Israelis have put in their own orders for the new stealthy F-35 which is another reason they don't want the US to also sell them to the Saudis. What does the US get out of all this? Well, the administration will absolutely push the jobs angle pretty hard. During these slow economic times, with mid-term elections coming up in November and a 9.5% unemployment rate, the Obama administration will seek to sell this agreement to the American public by arguing that the deal will create about 75,000 jobs for Americans, although the majority of these jobs will be at companies like Boeing, GE, and Lockheed Martin. These companies don't typically hire construction workers, financial professionals, real estate agents or other employees from hard-hit sectors of the economy. These new jobs will go to highly skilled, college-educated workers, or the types of workers that already have good jobs in a sector with relatively low unemployment rates. Recent graduates in engineering, physics, project management and other aircraft-manufacturing related sectors will also benefit. Yes, there may be indirect employment gains in retail and other sectors as those 75,000 workers in those new jobs spend their salaries, but I wouldn't count on these new jobs to make much of an impact on aggregate demand or unemployment numbers. But that doesn't necessarily matter in the short run. In the eyes of the Obama administration, stronger military ties with Saudi Arabia, countering Iranian influence in the Middle East and the perception that new jobs for Americans are being created is enough of a reason to proceed with the agreement right now. Posted by Alex Parets at 6:09 AM . A report regarded as the most detailed evaluation of unclassified global arms transactions data released over the weekend by the Congressional Research Service found that the "Great Recession" has dramatically affected state-to-state arms transactions, with arms sales dropping to $57.5 billion in 2009, a drop of roughly 8.5% from 2008. (It looks like the actual report hasn't yet been released to the public, only to members of Congress, but here is an analysis of US arms sales from the CRS released last December and last September's CRS analysis of conventional arms sales to the developing world). The United States remained well ahead of all other states with arms sales totaling $22.6 billion which comes out to about a 39% market share, but down from total sales of $38.1 billion in 2008. The report tells us that the largest arms selling states are the most powerful states, as is expected, with Russia, France, UK, Germany, Italy and China trailing the United States. The largest purchasers are middle income countries, with Brazil, Venezuela and Saudi Arabia as the three largest consumers, and Taiwan, the UAE, Iraq, Egypt, Vietnam, India and Kuwait following closely behind. What effect do these arms sales have on the international arms market? Well, those countries that are purchasing new equipment surely aren't going to destroy their "dated" equipment but rather are going to transfer this old equipment legally or illegally down the income chain to less developed states. In one way, this is a good thing. These poorer countries are able to increase their capacity for self-defense and internal policing and these arms should help consolidate their monopoly on the use of force within their borders at a cheaper price than they otherwise would pay in a market where middle income countries weren't selling their old equipment. The int'l arms market expands, and prices on second-hand arms should decrease. These lower prices should allow states to allocate the savings from arms sales to providing services to their domestic populations. But, what about the rest of the money that states use to purchase weapons and arms? Is this a productive use of state resources? What effect do these arms transactions have on economic growth, violence and development in these countries? Military/arms purchases tend to be non-productive in terms of direct effects on growth and development; they don't tend to add points to GDP. These purchases could be indirectly growth improving if they increase a state's capacity to ensure peace and stability, thus having a positive effect on investment and production for a variety of reasons (investors face less uncertainty, production and consumption aren't affected by armed conflict, etc.). Many people argue that these funds should be invested in more efficient and productive sectors such as education, health, and infrastructure instead of on arms purchases and that they don't understand why countries waste money on arms. They argue that developing countries need to maximize growth and help their struggling and poor citizens. So the question is why aren't funds being allocated to their most efficient use? Shouldn't the market reward efficient and productive asset allocation? Why are states leaving percentage points of economic growth on the table and instead investing in arms purchases? Politics. If there is one thing that this blog tries to make clear it's that politics matters, that politics affects decision-making and that you can't analyze economic transactions unless you bring the politics in. Politicians use arms sales to buy the support of their militaries by providing them with new equipment in order to ensure loyalty. Voters tend not to like it when they perceive their militaries to be ill-equipped, underfunded and not ready to defend their borders or counter an invading force, thus incentivizing politicians to spend on arms. Politicians and states use military spending as a signal to opposing states regarding their military intentions, capabilities and power. Politicians use arms to combat domestic insurgencies, uprisings and other domestic civil unrest. Politicians use arms sales to establish ties with powerful arms-selling states (who also have the world's largest domestic markets and influence in international financial organizations and other IGOs), and they hope that individual arms sales will be coupled with other aid, military ties or inducements in the future. These are all politically-based reasons for why states spend money on arms. Asset allocation in domestic economies is a political act, and that's why we don't always (rarely?) see efficient outcomes. An absolutely fascinating piece by Michael Lewis in the latest issue of Vanity Fair on Greek debt, Greek monks, Greek civic life, corruption, fraud and how the Greek budget deficit came to be 15% of GDP (and not the reported 3%). Towards the end, Lewis engages how the new Greek government has sought to implement policy change in the face of a domestic crisis. It's not necessarily that the Greeks don't want to govern themselves, nor that they will "listen" to calls from the outside. IPE research specifically, and IR research generally, has provided a good explanation of why politicians use this strategy to implement policy change. Political Scientists Todd Allee and Paul Huth discussed how politicians use international courts and other international bodies to push through domestic reform in "Legitimizing Dispute Settlement: International Legal Rulings as Domestic Political Cover" (APSR, 2006 - ungated). From this research, we can see how politicians strategically use external pressure from intergovernmental organizations like international financial institutions such as the IMF to push through domestic legislation that would otherwise be incredibly unpopular. These politicians claim that "their hands are tied" by these external pressures and that they have no choice but to implement a change in policy (policy that they see as being absolutely necessary, but that the public may not). These international financial institutions provide political cover for politicians and allows them to deflect blame for the policy away from domestic politicians and towards external actors. It's not that the domestic audience will listen to outside actors, but that they will not necessarily blame domestic politicians for implementing these types of policies. Are some things still worth dying for? Is the American idea one such thing? Are you up for a thought experiment? What if we chose to regard the 2,973 innocents killed in the atrocities of 9/11 not as victims but as democratic martyrs, “sacrifices on the altar of freedom”? In other words, what if we decided that a certain baseline vulnerability to terrorism is part of the price of the American idea? And, thus, that ours is a generation of Americans called to make great sacrifices in order to preserve our democratic way of life—sacrifices not just of our soldiers and money but of our personal safety and comfort? Thanks to James Fallows for the reminder. Kindred Winecoff, for one, thinks that it’s hopeless to even dream that it might become reality. If by "dream" Salmon is referring to governments willingly agreeing relinquish control over their domestic financial sectors to an international body that will dispassionately create and enforce a uniform regulatory standard that affects banks in all jurisdictions equally, then he's right: I think it's hopeless to dream that it might become a reality. But it's not hopeless to dream that the BIS negotiations will yield a framework of rules and guidelines that national regulators will apply to their domestic banking sectors in a way that makes the system safer overall. We just need to understand that there will be some amount of flexibility built into the agreement that allows governments to resolve domestic challenges, which are not the same across all jurisdictions. And we need to understand that regulations made today are unlikely to be sufficient to handle threats to systemic stability 10-12 years from now (these negotiations tend to happen every dozen years or so). Moreover, the fact that some fragmentation will remain is likely a good thing. Regulations need to reflect the realities of markets being regulated. A truly one-size-fits-all policy is not likely to be successful in its goals, and would almost definitely make international cooperation impossible. We should also keep in mind that the stricter the regulations are, the higher the incentive is to find loopholes and work-arounds. In my view, the biggest problem prior to the crisis was the lack of transparency in the banking system, especially the shadow banking system. Most of the largest, systemically important American banks had large enough capital ratios pre-crash that they probably would have met the new stricter requirements. (Economics of Contempt posted a thorough write-up of this last year.) But a lot of the reason why was because of some accounting tricks and regulatory arbitrage. I don't want to leave the impression that what's happening in Basel isn't important. I think it is. But I think it's important in different ways that most finance and economics journalists (and even academics) think it is. In other words, I think it's important because of the distributional effects that are likely to emerge from the new agreement, as discussed here and here. It isn't an accident that the firms screaming bloody murder about Basel III are in Germany and Japan, not the U.S. and U.K. That's not to say that U.S. and U.K. banks love it, and they're certainly not going to say it, but Basel III isn't cutting into them as much as some of their foreign competitors. BarCap, for example, estimates that the 35 largest US bank holding companies will need to come up with $115bn in new equity or retained earnings to bring the ratio of their equity tier one capital to risk-weighted assets – a key measure of financial strength – to 8 per cent under the revised rules. That is about half the $225bn in new capital the biggest US banks would have had to raise under a tougher draft of the rules circulated in December, said BarCap’s Tom McGuire, whose unit did the calculations. Similarly, Nomura analyst Jon Peace calculated that the top 16 European banks would need to raise €200bn ($257bn) to restore capital removed by the reforms, down from €300bn under the December rules. In July, when a draft was published, Germany was alone among the 27 countries represented in saying it could not agree to tighter definitions of capital without knowing what the headline ratios would be. Notice that under these projections the top 10 German banks would need to raise $20bn more than the top 35 American banks. The headline ratios now appear to be tougher than what they were expected to be in July. In other words, German banks are even worse off than what they probably expected just two months ago. This is a huge benefit for U.S. firms. Factor into that the new liquidity requirements -- which will hit U.K. firms much harder than U.S. firms because U.K. firms had levered-up much more than even American firms -- and the fact that the Japanese banking sector is basically insolvent by rumored Basel III definitions, and the entire Basel agreement gives American firms a huge competitive edge. The tax deferral tactic started losing favor after Resona bank had to be nationalized in 2003 when its auditor wouldn't sign off on tax deferrals and its capital adequacy fell too low. Still, in 2008 roughly 100 banks counted as assets tax deferrals equal to 20% or more of their core capital, according to a Bank of Japan survey last September. The numbers had been rising for two consecutive years. In the U.S., by comparison, the Fed lets banks count the lower of either tax deferrals realized in one year or 10% of core capital. A bigger factor, though, may be that Japanese banks have so much trouble raising any other kind of capital. Retained earnings are out because their profits are among the lowest in the world on either a return-on-equity or return-on-assets basis, according to a Bank of Japan report last month. This is why Geithner, Bernanke, and the Obama team left capital requirements out of FinReg. They knew that a unilateral move to stricter standards would hurt American firms, while an international move would help them. Geithner believes (and I agree) that the only financial regulations that are truly essential are capital ratios. So they saved the biggest piece for last in the hopes of dumping off some of the costs of re-regulation onto foreign firms. And it looks like they succeeded. As I said before, this isn't just about making the system safer. It's about making someone else pay to make the system safer. Posted by Kindred Winecoff at 6:09 PM . "The Cuban model doesn't even work for us anymore," [Castro] said. In other words, Cuba is beginning to adopt the sort of economic ideas that America has long-demanded it adopt, but Americans are not allowed to participate in this free-market experiment because of our government's hypocritical and stupidly self-defeating embargo policy. Garcia called over one of the aquarium's veterinarians to help answer the question. Her name was Celia. A few minutes later, Antonio Castro told me her last name: Guevara. "You're Che's daughter?" I asked. I found myself agreeing with Fidel: The aquarium in Havana puts on a fantastic dolphin show, the best I've ever seen, and as the father of three children, I've seen a lot of dolphin shows. I will also say this: I've never seen someone enjoy a dolphin show as much as Fidel Castro enjoyed the dolphin show. "This was how my face looked when I was angry with Khruschev," he said. I asked him, "At a certain point it seemed logical for you to recommend that the Soviets bomb the U.S. Does what you recommended still seem logical now?" He answered: "After I've seen what I've seen, and knowing what I know now, it wasn't worth it all." Posted by Thomas Oatley at 12:13 PM . 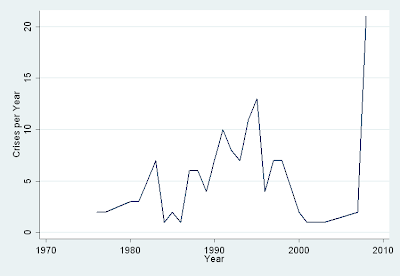 1 article cited 2,000 or more times (Alchian and Demsetz, 1972. "Production, Economic Costs, and Economic Organization, AER 62 (5 ): 777-795). Source: Social Sciences Citation Index. I should note that this count covers only the 11,324 articles published since 1956 (46:1). And while the emerging markets are no strangers to banking crises, the fact is that the most dangerous such crises are always the ones which take place in large, mature economies. That’s where regulators — by which I mean the Bank for International Settlements, in Basel — have to step in, by forcing all countries to adopt a bare minimum capital requirement which will protect the system in two main ways: it will make bank failures less likely and less frequent, and it will improve the ability of the rest of the system to withstand any bank failure which does still occur. What's the problem? The BIS is not a regulatory body. It has no statutory authority. The BIS is a talk shop, a place for national regulators (mostly central bankers) to periodically meet and discuss changes in the international financial system, and occasionally hammer out a non-binding, unmonitored, non-enforced agreement. The BIS does a bit of data collecting and dissemination, but that's about it. They can't "force" states to do anything. This is on purpose. Politicians use regulatory policy to address domestic political concerns, which is why there is a high level of cross-national regulatory divergence despite the fact that the Basel framework has been in place for over two decades. One example is universal vs. split banking systems. In Europe, banks have generally been allowed to participate in investment and commercial banking simultaneously. In the United States, this was not the case until the repeal of Glass-Steagall in 1999, and the Volcker Rule in FinReg partially reinstates that separation. Other differences include varying definitions of regulatory capital as well as how much capital banks must hold. There are many other cross-national variations in regulatory policy, including accounting risk-measurement standards. All of these reflect differences in local banking sectors, which lead to different domestic political incentives. Politicians won't give up their domestic authority or ability to address changing local circumstances, so agreements made in Basel are subject to interpretation, implementation, and enforcement by domestic regulators. The U.S. still hasn't come into full compliance with Basel II, for example, and there is essentially no recourse for other nations or the BIS to force it to do so. The Basel negotiations periodically occur when one or two leading states become concerned that their firms must take inordinate risks to be competitive in globalized markets. When this risk-taking leads to a crash, or government intervention to prevent a crash, these states seek an international agreement in order to sufficiently protect their firms from some of that competition, thereby reducing the need for as much risk-taking. It isn't a coincidence that the three major instances of Basel negotiations followed periods where increased competition lead to more risk-taking by American (and some European, esp. U.K.) firms, which then lead to a crash or near-crash when some of the bets didn't pay off. The first followed the Latin American debt crisis, the second followed the Asian financial crisis, and the third followed the subprime crisis. The leading states use these crises to reorganize international markets in ways that protect their firms. Bailing out banks with public funds is obviously extremely unpopular with voters, but causing firms to lose business to less-regulated (or more state-supported) foreign competitors is extremely unpopular with the financial sectors and their employees. Pushing some of the costs of moving to a more regulated system onto foreign firms is one way that powerful states can resolve a domestic political tradeoff. Thomas and I have a paper about this, about which hopefully more soon, and this general question is what my dissertation is about. I also hope to have more to say about the specifics of the Basel deal as time permits and details emerge. In other words, you'll probably be hearing a good bit more from me about this topic in coming weeks and months. But this is exactly what I was talking about when I criticized journalists for not knowing more about political science. Not to pick too much on Salmon, who I think is a phenomenal reporter and generally a force for good in the world, but here is a major international negotiation taking place between the most powerful states in the world, and almost everyone is treating it like it's a technocratic problem. It isn't. It's a political problem, and it can only be understood in that context. No one would write about the START treaty this way. Like I said, hopefully more about our paper soon. In the meantime, one of Thomas' previous papers (with Rob Nabors) about the politics of Basel I provides a good framework for thinking about the politics of Basel III. There is considerable cross-national divergence above the current Basel minimum; the U.S., for instance, has required a 6% Tier 1 ratio and 10% Tier 1 + Tier 2 ratio to be considered "well capitalized". These were 50% and 25% higher than the required Basel minima, respectively. People tend to be very surprised that, historically, the U.S. has tended to have stricter banking regulations than Europe, but it is the case. The dissertation is still in the planning stages, so I won't make any claims for it yet. UPDATE: Since Salmon pointed some traffic here, I edited slightly for clarity/poor writing. No substantive changes made. Posted by Kindred Winecoff at 10:45 PM . Five gunmen attacked an American military convoy south of Baghdad. The troops were not "combat troops," so they used return fire to advise the attackers to die. Posted by Thomas Oatley at 10:31 PM . The problem thus extends beyond "why don't journalists pay attention to us." Our fellow social sciences don't pay attention to us either (and only 155 articles with 100 + cites in 100 years suggests we are not really paying all that much attention to each other's research either). As a result, political science runs a massive intellectual trade deficit with other social and behavioral sciences. All importing and no exporting can't be healthy for the discipline in the long run. And the failure to export can't be laid entirely at the feet of the consumer. Say's Law may be unfashionable, and perhaps the problem really is one of aggregate demand (or information about the product) as Will suggests. But I can't help but think that research with social value gets noticed. So, rather than calling journalists names, perhaps we might consider whether the lack of attention the media pay to IR and IPE scholarship conveys meaningful information about the product being supplied? *Lee Sigelman. 2006. "The "American Political Science Review" Citation Classics," The American Political Science Review 100 (4): 667. For the curious, the ASR produced 379 articles with 100 or more citations, and 18 articles with 500 or more citations (see Jerry A. Jacobs. 2005. "The ASR's Greatest Hits," The American Sociological Review 70 (1): 1-3. The kinds of policy approaches that find support in the IR literature or can be usefully illuminated through it are just too far off the center of the American political consensus. One reason that the field of economics plays a prominent role in popular discussions of politics is that you can find very credible academic economists with PhDs and everything on both sides of most of the big partisan battles in Washington. But that’s not really the case on the foreign policy side. The intellectual basis of modern-day rightwing foreign policy is DC think tanks and magazines and has nothing to do with scholarly controversies. This is a very very very bad thing for the world and leads us into some catastrophically misguided policy choices, and it also means that journalists attention tends to be focused on the bounds of the politicized DC debate which is unusually isolated from scholarly approaches to these topics. There are all kinds of problems with this. To begin with, he basically starts by admitting that journalists really couldn't care less about educating their readers, at least if the prerequisite of that is having a basic familiarity with the subject they are covering. Instead, all journalists care about are the "bounds of the DC debate", not stupid boring messy things like facts or scientific inquiry. No, those get in the way of "catastrophically misguided" right-wing policies that Democrats supported, dammit! Better to have a purely insult-based foreign policy discussion, completely void of theory or substance. @mattyglesias Really? No controversies in academic IR? No rightwing IR academics? No idea why you think that. It's just wrong. @whinecough Lots of controversies in academic IR and I never said otherwise. But they don't map onto political controversies in DC. Not the most illuminating tweet-back, granted, but it gets to the heart of the matter. And the heart of the matter is that Yglesias has no idea what he's talking about. In fact, there are many IR debates and pretty much all of them map onto political controversies in DC. In a spur-of-the-moment twitter response I listed "Democratic peace theory. Interventionism. Soft power vs. hard power. Unilateralism vs. multilateralism. Role of Intl Institutions." To which one could easily add trade politics, exchange rate policy, financial regulation, environmental policy, nuclear proliferation, macroeconomic imbalances, counterterrorism, human rights treaties, Wikileaks, Israeli-Palestinian peace negotiations, Park51, and immigration. All of which are common themes on this blog, in the academic discourse, and in the "political controversies in DC". The idea that IR scholarship has nothing to add to those discussions is just wrong. It demonstrates a shocking lack of awareness from someone whose most serious contribution to the public policy discourse is a foreign policy book. That's not all. Yglesias claims that right-wing foreign policy folks only exist in think tanks and the Weekly Standard, and never have PhDs (his criterion, with "and everything", for "credible" economists). Has he never heard of Condi Rice? Kissinger? Brent Scowcroft? Paul Wolfowitz? Peter Feaver? Robert Gates? They all have PhDs from prestigious universities, they can all be considered part of the "right-wing" according to some definition or other, and there's plenty more where those came from. Almost the entire past five decades of American foreign policy has been shaped by veterans of academia, mostly on the "right-wing" of IR theory, and has been hotly debated in academic circles. If Yglesias thinks that isn't the case, it's because he doesn't know his subject matter. Then Yglesias says that politics "has nothing to do with scholarly controversies. This is a very very very bad thing for the world and leads us into some catastrophically misguided policy choices, and it also means that journalists attention tends to be focused on the bounds of the politicized DC debate which is unusually isolated from scholarly approaches to these topics." I would be surprised if Yglesias could outline more than one or two "scholarly controversies" in IR in any detail, much less describe how foreign policy has no interaction with those arguments. Bush 43's entire foreign policy was based on a mutation of democratic peace theory, which is hotly contested in the academy and elsewhere. Clinton's foreign policy was the largest experiment in neoliberal institutionalism that the world has ever seen, and it too was vehemently debated in the scholarly circles, and still is. The whole Cold War was practically a petri dish for IR theory. 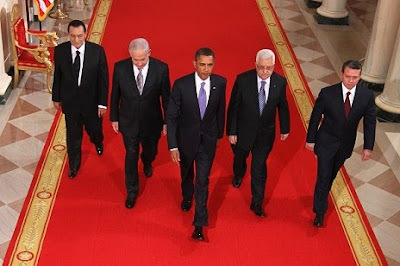 In all cases American foreign policy was engineered in part or full by IR scholars. What on earth is Yglesias waiting for? In other words, it's just not true that scholarly debates have nothing to say about political controversies, or that they are "too far off the center of American political consensus". 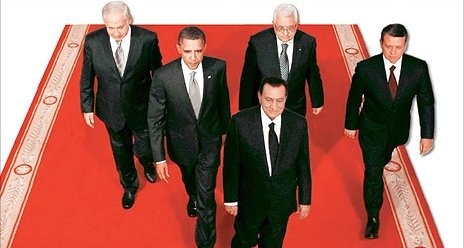 Every foreign policy decision that governments make has been discussed and analyzed, however imperfectly, by IR scholars and has been adopted or denied by politicians and ideologues. Yglesias just hasn't done his homework. Which is sad, because "homework" in this case basically entails e-mailing Drezner. Or even me. As I said... all I ask is that journalists do journalism. UPDATE (shortly after posting): I'm guessing Thomas would say that journalists don't care about this stuff because they're interested primarily in normative theories (i.e. ideologies) rather than positive theories. This is kinda sorta reconcilable with what Yglesias is saying, except that IR has spent a lot of time searching for empirical and theoretical justifications for normative theories. Those arguments might not be settled, but it's not as if journalists have any idea why or where the fault-lines are.